Plan your shopping to get the most bang for your buck. 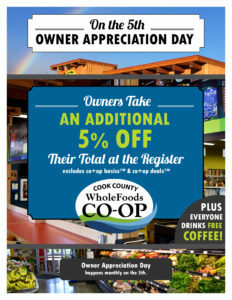 Owners get 5% off their purchases at the register on this day. Sample delights in the aisles. Get a free cup of coffee!